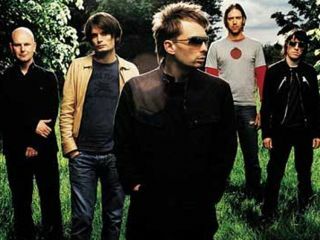 Radiohead have started to premiere video clips for three of their songs on their MySpace page. The videos are winners of the recent Aniboom animation video competition and were made to accompany three songs from In Rainbows. The first clip to appear is for the track Weird Fishes, which debuted yesterday (21 November). Videos for the songs 15 Step and Videotape will premiere on 25 and 28 November, respectively. Tobias Stretch from the US created the winning video for Weird Fishes (a still of which can be seen below). The team of Kota & Totori from Japan scored with their clip for 15 Step, while the German duo of Wolfgang Jaiser & Claus Winter walked away with top honors for their vision of Videotape. Radiohead themselves chose each winner, and in true, unorthodox band fashion, went one better and selected a fourth winner, a video for Reckoner as the official clip for the song. This entry was created by Clement Picon of France. Singer Thom Yorke says he was "totally blown away" by the creativity displayed by the budding filmmakers. A grand prize of $10,000 was originally offered for the big winner, but Radiohead decided they liked all the videos so much that they're kicking in an additional 30 grand so that everybody receives the same amount. Nice to have disposible income, huh? Check out the videos for both Weird Fishes and Reckoner on Radiohead's MySpace page. Inventive and exciting filmmaking, we must say.